Jason Throne received his Bachelor of Music in Music Education degree at Temple University. While teaching in Baltimore, he studied conducting under the direction of Edward Polochick, the Director of the Baltimore Symphony Chorus, and performed with the Baltimore Symphony and Chamber Chorus. After receiving his Masters in Choral Conducting at Temple University, Mr. Throne was Apprentice and Program Editor with the Berkshire Choral Festival, where he lectured on the choral music of Brahms and Bach, as well as music technology. Mr. Throne has worked with renowned conductors including Robert Page, Joseph Flummerfelt, Vance George, Marvin Hamlisch, John Rutter and David Zinman. Drawing from these experiences, he currently delivers seminars in conducting for music teachers at regional area high schools. After spending two years as Assistant Conductor of the Bucks County Choral Society, he performed and conducted the group during their recent tour of Estonia and Russia. Mr. Throne is Choral Director at Unionville High School. Leon Spencer received a Bachelor of Music Education degree from Muskingum University in New Concord, Ohio. As well, he attended Westminster Choir College in Princeton, New Jersey for coursework in vocal pedagogy and studied choral conducting with the late Joseph Flummerfelt. While in Ohio, he was the Director of Music for the Second Presbyterian Church in Newark where he was also a public school music teacher and was a choral clinician for several churches in the Columbus area. 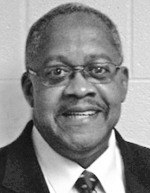 Since his return to Chester County in 1991, he has served as choir director for churches in Coatesville, Kennett Square and New London. 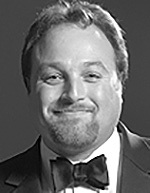 Mr. Spencer is currently co-owner of Pro Musica Studio and serves in a variety of civic capacities. He was the mayor of Kennett Square from 1999 to 2010. 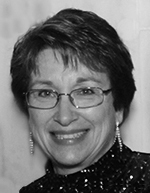 Linda Lorgus is Music Director and Organist at St. Michael Lutheran Church in Unionville, where she directs five choirs including two handbell groups. Prior to this, she was Principal Organist, Music Coordinator and Handbell Director at Westminster Presbyterian Church in West Chester for over 20 years. She is a freelance accompanist and teaches private piano and organ. In addition to Brandywine Valley Chorale, her freelance work includes accompanying for the Upper and Middle School choirs at Westtown Friends School and several private music studios. She also accompanies for the choral programs at Great Valley, East, Henderson and Unionville High Schools. Ms. Lorgus is the recording artist for Schulmerich Carillons, arranging and recording songs heard from the bell towers. She holds a music degree from Westminster College where she majored in piano and organ performance.